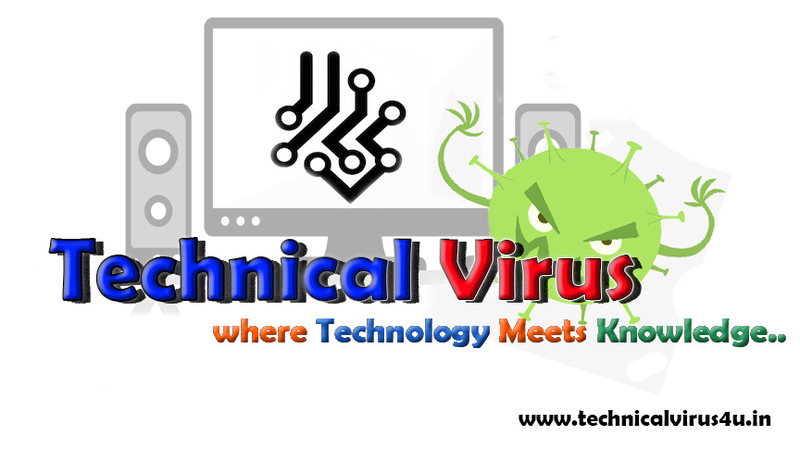 Hey there, I am Subham from Technical Virus. Today I am posting an Imprtant thing for your Blogging Career. The post will be all about Domains. 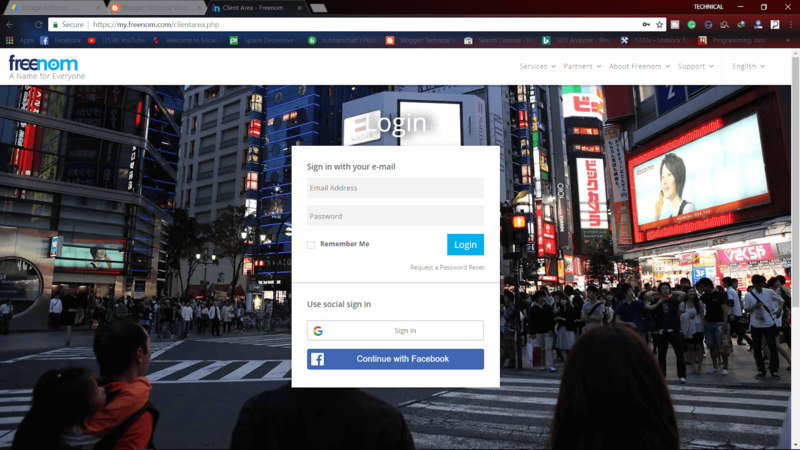 Already I wrote about what is blog and how to create it. Basically, Domains are the connector that connects your Website or Blog with the Internet. If you have a blog then surely you do need a Domain for your Blog or Websites. There are more than one websites that provide paid as well as free domains. Basically, there is a website called Godaddy that provides ".com" or ".in" or any other TLD for a price. The prices are very reasonable. 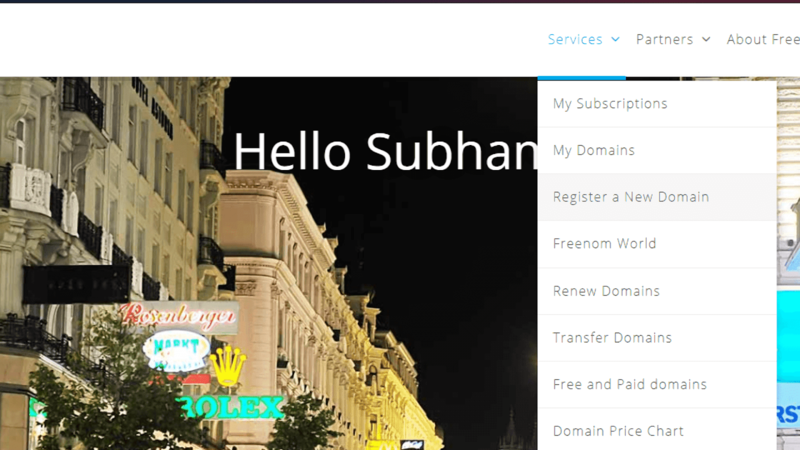 Around 500 rs you will get a .com domain for one year. 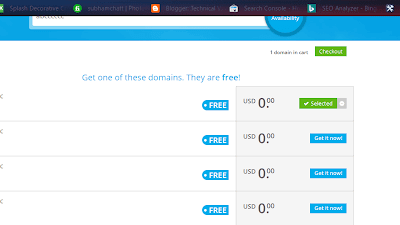 There are a lot of free websites that provide totally free domains for one year. After one year they will charge you for that domain that you have previously bought from the website. 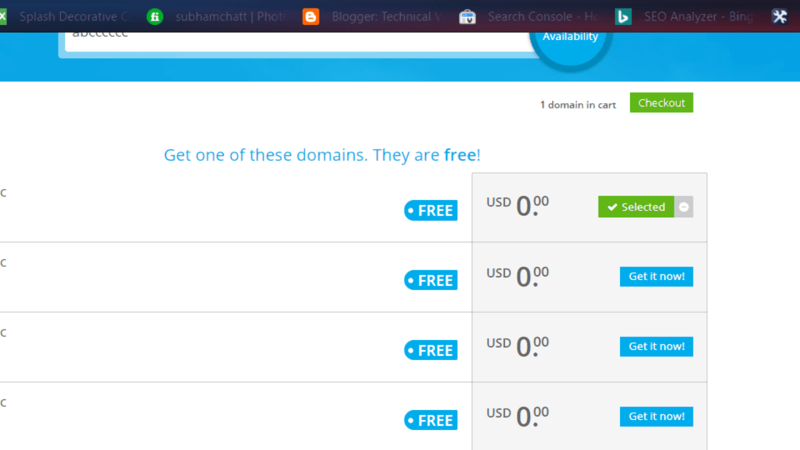 Like that a free website named as FREENOM that provides free domains. The domains they provide are ".tk", ".ml" etc. 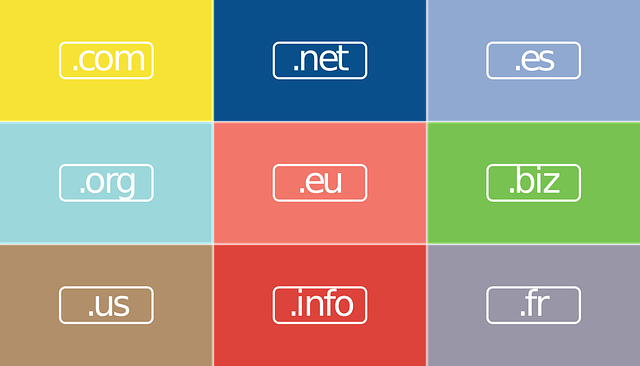 These domains are totally free, you just have to signup for the website and register a domain for your website. 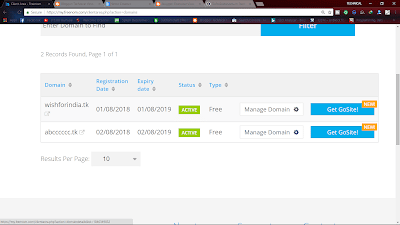 Below is a step by step process of how you can create a free account and register a domain for your Blog and connect the Domain with your Blog. Then sign up for a new account on the Website by clicking the signup button which is located in the upright corner of the website. Fill accordingly as directed just provide your email and set a password for the website and you are done. Your account has been created successfully on the website. simply sign in with your login id and enter to the website and your dashboard will open. There you will see your name is displaying and you are in the client area. 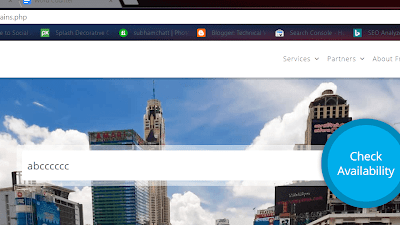 Now after clicking in the "Services" tab, you will see a drop-down menu will appear. Then click on "Register a New Domain" option. For creating a domain you just have to search for a domain name like "abc" and hit Check for availability or you can simply hit enter. Then the website will show you the most possible results of the website name with its domains. 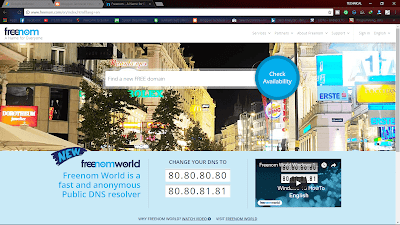 Basically, freenom provides free domain name as mentioned earlier in this post so it will provide .tk, .ml or any other free domains. If the typed name of your website is not available on the website the don't afraid, this means the domain name is not available i.e. it was taken by someone earlier on the website. Now after finding your domain name and registered with the free domain you simply click on the add to cart option which you will find beside the domain that you want to choose. 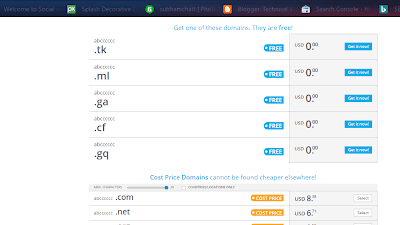 Here you will see the cost is 0.00$ totally, means you will get a free domain. After that one main thing, you have to do there. After going to the page you will see the time period that for the validity of the free domain. Choose for 12 months free and click proceed. 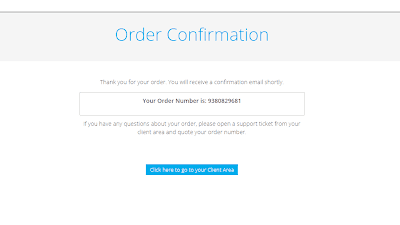 Now after choosing simply click on the continue to cart option which you will find above the add to cart option. After clicking on the continue to cart option you will be directed to the personal information page. Here, you have to update your name, address, pin code, country etc. 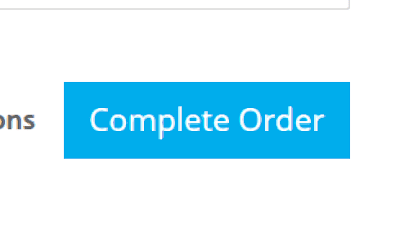 Then you simply click on the Complete order option to complete your purchase. 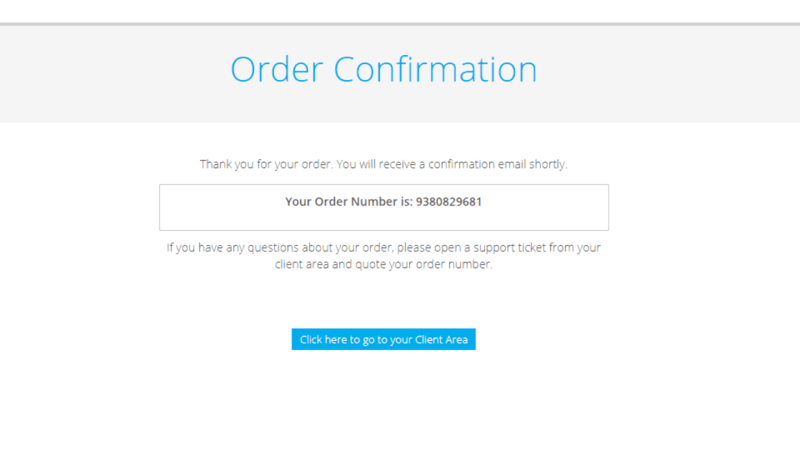 After that, you will see this type of confirmation message below. That means your domain registration is successful and you will see the Go to your Client Area option below. Just simply click on there and you will be redirected to the main client area. So, that's it. I am sure you will learn how to create a free domain. Now, you have to know that how to link the website with your Blogger. Then you will see an error message. Don't be afraid. You will see two names have arrived there below the error message. Those are called CNAME. Hold on, you would require those for linking. After that, click on the other options. Click on the link and you will be redirected to the Google settings. Scroll down, you will find 4 A name's ( LIke "216.239.34.45"). Simply copy those and paste those in somewhere else. You will need this later. 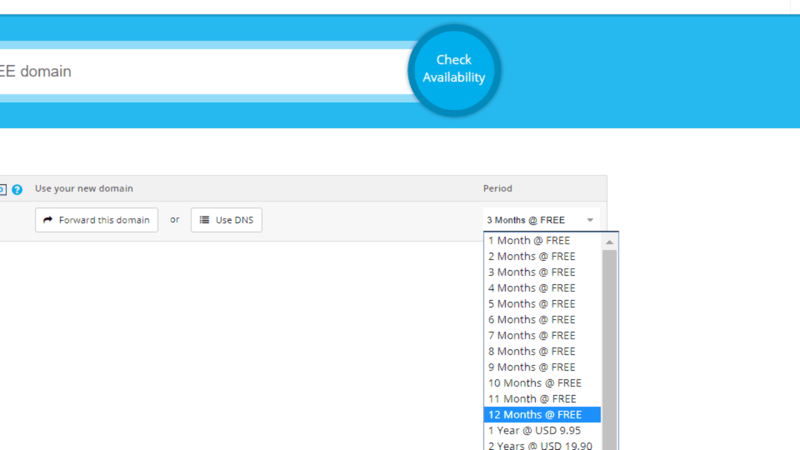 Then go to your my domains option in FREENOM and click on the manage domain option. After that click on the "Manage Freenom DNS" option. Then you will see an "add record" option. Here you will require that CNAME and A name. Simply set the option to Cname or A name, put accordingly the data and click on Save Settings. So, now go back to Blogger and put the domain name with "www" and click save. You will now see it is saved now. So, that's it. You will now completely learned how to use freenom and how to add with Blogger. Now the main thing for writing this article about freenom. First of all, I DON'T PROMOTING FREENOM WEBSITE FOR MONEY EARNING PURPOSES. Many people think that people get money for promoting the website in their article or anything. But I am not promoting. I myself used this website for my early Blogging days to register a new Domain. From then I liked that website very much and that's why I am telling you about this Website. Many other free domain providers are there on the Internet. Second, I am writing this post mainly for beginners in the Blogger Industry. When you have come to the Blogger usually you don't have any money for buying a good Domain for your Blog or Website. 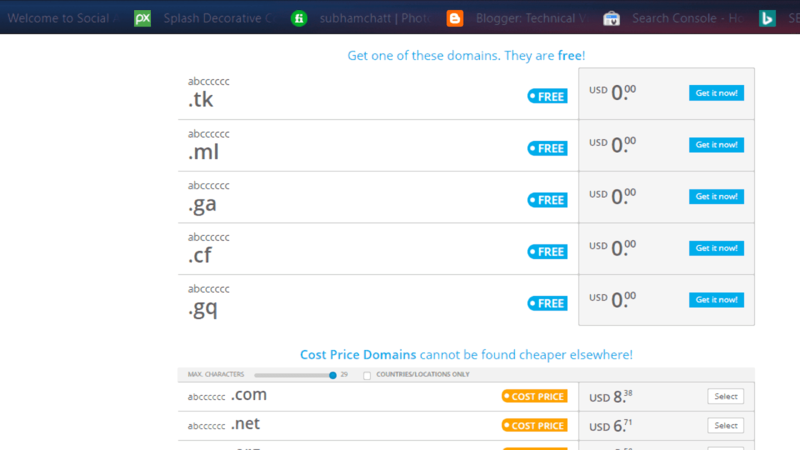 Then you have to go for the free domains. In my early days of Blogging, I used to register domains from Freenom. And Third, here I am telling a bitter truth. By using a free domain you will never get an Adsense Approval by any means. Yes, it is true, but you will get an idea of the Custom Domains. Here is a step by step process of how you can get an approval for AdSense in a faster way. So, that's it. Hope you will like my article. See you in the next post of Blog Tips and Tricks.